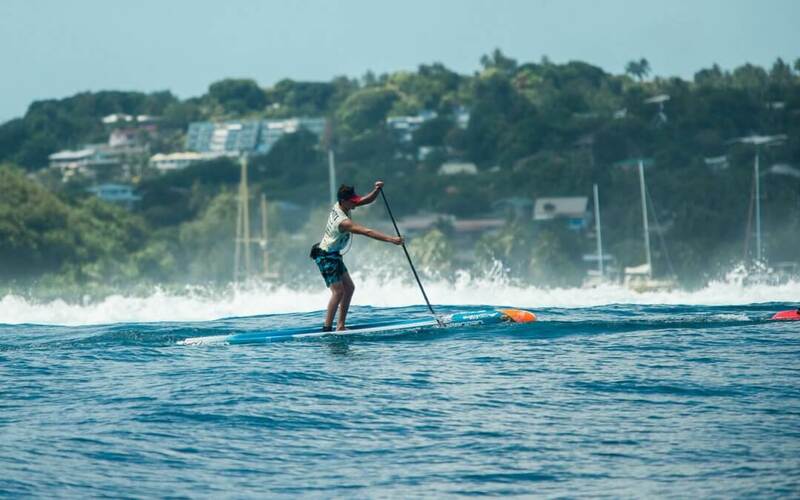 15-year-old Tahitian Kéoni Sulpice is the 2019 Air France Paddle Festival Runner Up! Once again Tahiti showed it’s home to an extraordinary depth of paddleboard racing talent, and once again it showed it’s home to an insanely hot blazing sun. This year’s race was an awesome contest, in the women’s race it was Yuka Sato (Japan) winning an arm-wrestle with Olivia Pinana (France), but it was the men’s race where we witnessed Titouan Puyo taking down the Tahitians after a titanic struggle with 15-year-old sensation Kéoni Sulpice. 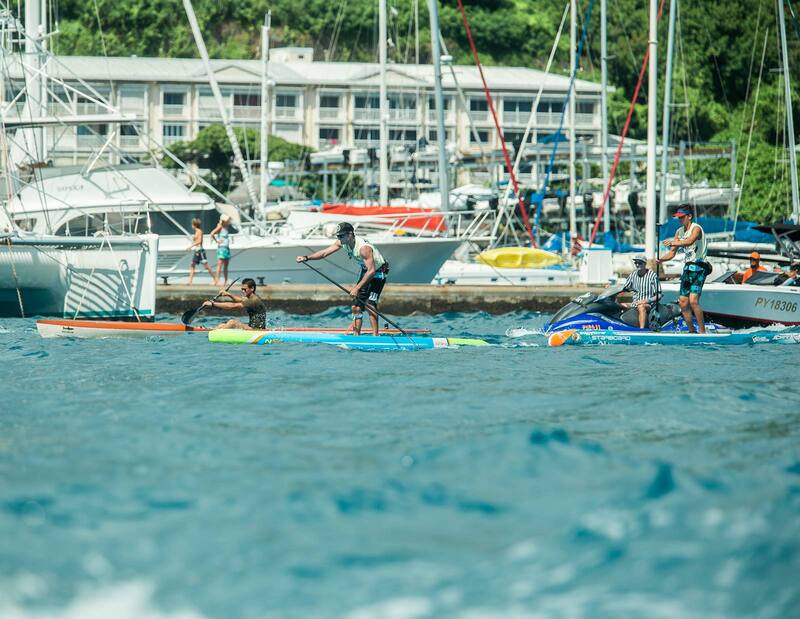 The men’s race was always going to be a battle between Titou and the Tahitians, with no less than a dozen world-class locals eager to take down the 2018 world number three. This was T2’s third attempt at the Air France crown, having finished 3rd in 2016 and 4th last year. Kéoni is also no stranger to this race, with the 2019 event marking his 4th straight win in the Junior division. Last year he made a name for himself when he was mixing it up at the front of the lead pack with the big names like Michael Booth Marcus Hansen and of course Titouan Puyo for most of the race before fading back in the final moments to finish in an impressive 11th position at only 14 years old! Missed the Live Feed? You can watch the replay here. What was your race strategy? It looked liked you marked T2 early on and that you wanted to hang on his wave? My race strategy was to take a good start and to stay in the draft all the race, to surf all the small bumps and to mark all the riders and at the end of the race push! I think I chose not early, it was the best time but T2 caught the wave before me and surfed the wave to pass me. It looked like you had a go at passing T2 but then he put the hammer down? Do you think there was anything more you could have done for a different outcome? Yes, I think I had a chance to pass T2 but he accelerated to catch the wave and he extended his lead! At a moment of the race, I’m told that I could win this race, I tried to push but T2 was too strong. We know T2 said he didn’t care you were only 15 & that he raced you with the same level of respect as any top athlete. How does that make you feel? I’m so proud of my performance with my age 14y.o (15y.o in May). I’m glad to paddle with riders older than me – I felt good with them during the race & loved the sensations during the race. I will keep training to have a better level in the future. I prepared me very well, my training was very intense to reach this level! Since the beginning of the year, I worked on both physical and endurance training! I did some cardio and distance race training! 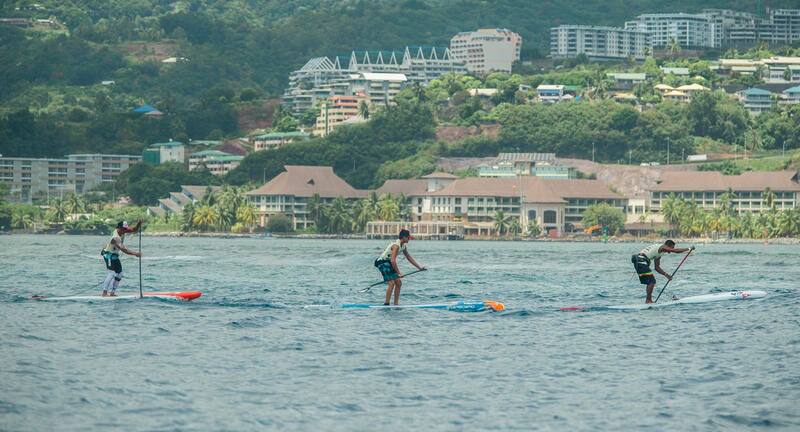 How does it feel getting to the finish line well ahead some of the biggest names in Tahiti? We noticed you used the Sprint model. What made you decide on this rather than All Star or even Ace? Yes, I rode with my 2017 Sprint 14 x 21.5. I love this board for these conditions – it was easy for me to catch bumps and to keep my glide! The sprint is the best board for the flat sections on the inner reef, but was so comfortable to paddle in more choppy outside the reef as well! What’s next for you in this race season? The next international race for me is the Carolina Cup! This weekend I’ll participate at the WTT in Taharuu, Papara (Tahiti). Will you be looking to win this race next year? Yes, it’s my new goal, but to succeed I have to keep training hard and smart!